There are many skin care ingredients that are synonymous with aging skin, but most people who are in the market for anti aging skin care products have likely heard of idebenone. This chemical was originally produced to treat a number of medical ailments related to aging and has since been used by many skin care companies due to its antioxidant properties. 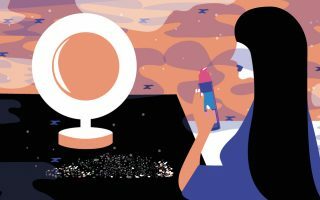 While some studies are still ongoing, more companies are releasing anti aging skin care products with idebenone, even though its origins were far outside the skin care field. Idebenone was originally created by a Japanese pharmaceutical company to treat the effects of Alzheimer’s disease, particularly the deterioration of memory. The chemical make-up of idebenone is almost identical to the antioxidant coenzyme Q10. While its effects on Alzheimer’s patients were limited, some pharmaceutical companies continue to test the chemical’s effectiveness on other cognitive and neurological diseases. More recently, skin care companies have turned their attention to idebenone and its power as an antioxidant and a free radical fighter as it is believed to be safer than other man-made skin care ingredients. Idebenone is being used in a number of anti aging skin care products for a variety of purposes, but its biggest believed benefits come from the powerful antioxidant properties. For example, wrinkles, fine lines, and even age spots all form in the process of natural aging, but these issues also have a great deal to do with exposure to the sun. UV rays contain free radicals that destroy skin cells from the inside out and damage both elastin and collagen, which causes skin to sag and wrinkle. It is believed that creams containing idebenone may be prevent wrinkles by fighting free radicals and protecting skin cells. The healthier the skin is, the more collagen it produces, which helps it look firmer. Idebenone may also be helpful in reducing inflammatory responses in the skin, as well as redness and swelling. While few problems have arisen from the use of idebenone-based skin creams, some individuals have experienced redness, irritation, and stinging. If you’re considering the use of this product, the best way to avoid any possible irritation is to understand your own skin type. If you have skin that is sensitive to many beauty products, you may want to test a small patch of skin first, before applying it elsewhere on your body. All products that contain idebenone are sold over the counter. 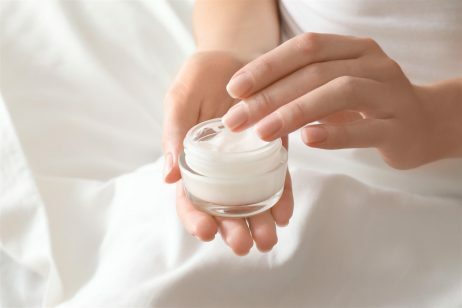 However, if you have experienced outbreaks with anti aging creams in the past, you should see your doctor or skin care specialist to discuss any possible problems that may arise with the use of idebenone creams. There are a number of creams on the market today that are using this chemical as their main ingredient. However, since most of these creams are more expensive than other over-the-counter brands, you should learn to use them to their full potential. Before you apply any kind of idebenone anti aging cream to your face, open your pores with a facial steamer for ten to fifteen minutes. Once the steaming is complete, pat your face dry with a clean, soft cloth. Never rub your face with a towel in order to dry it, as this might irritate the skin. Once your skin is completely dry, apply the cream directly to problem areas and work outward, using your fingertips. The steaming will allow the cream to penetrate deeper for better results. Be sure to store idebenone creams away from sunlight, as UV rays may weaken its antioxidants over time.